Believe it or not, October 2018 will be the 10-year anniversary of Satoshi Nakamoto’s famous Bitcoin Whitepaper: A Peer-to-Peer Electronic Cash System. While many doubted (or, better yet, hoped) we’ll never reach this point, key terms from the Bitcoin whitepaper, like blockchain and cryptocurrencies, have finally become a part of the popular lexicon. The public’s eyes are so enthusiastically set on cryptocurrencies that there’s almost no doubt that the idea of decentralized money is set to cause a major shift in the way our financial systems operate. However, that shift is still to come, and the slow pace at which cryptocurrencies have been penetrating financial sectors have got a lot of people worried. Nonetheless, the potential is truly there, all that remains is to be ready and willing to make radical changes. 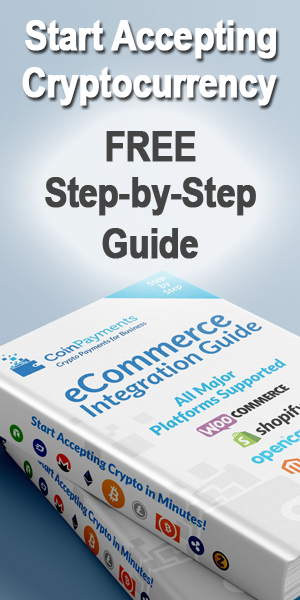 And one of the easiest first steps towards cryptocurrency standardization is implementing decentralized money to ecommerce platforms. According to the ecommerce trends infographic you’ll find below, the standardization has already began. At least in theory, cryptocurrencies should offer online merchants a new level of autonomy they simply can’t get through current platforms. No central authority would be able to supervise – As things currently stand, ecommerce merchants are highly dependent on service-providers that act as a middleman between the customer and the supplier. A decentralized system would enable them to break free from these tolling middlemen, which would also result in smaller customer fees. After all, cryptocurrencies already have extremely low transaction rates across all sectors that implemented it, currently sitting at around 0.3%. 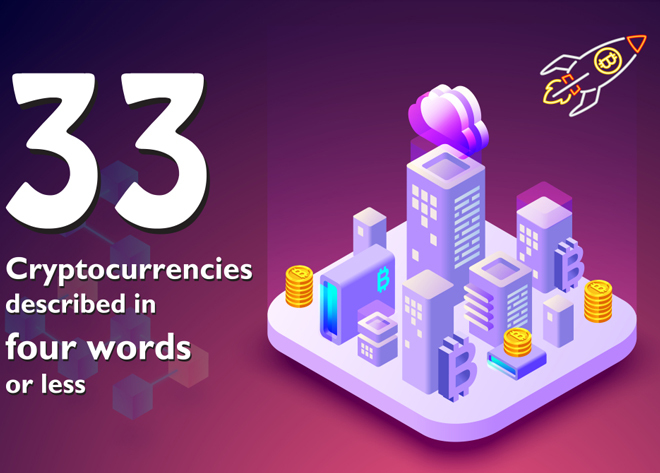 Currencies would be recognized on a global level – Cryptocurrencies do not abide by any particular exchange rates, transaction charges, or interest rates specific to any one nation. It doesn’t matter if you are sending money across the street or to the other side of the world – the fees are always fixed and extremely low. 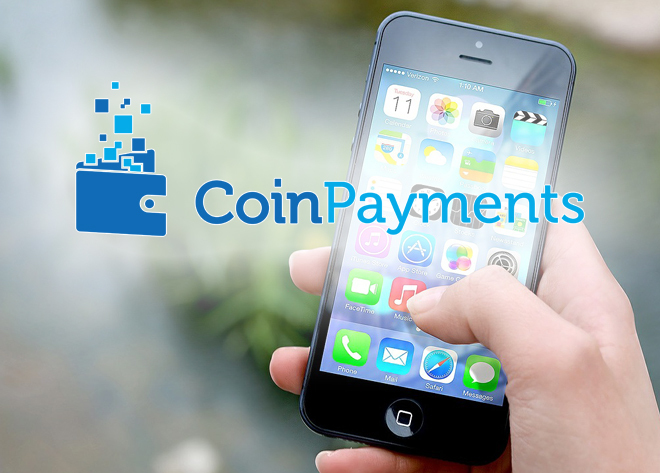 Increased security on all levels – The blockchain technology behind them makes cryptocurrencies extraordinarily secure for consumers and merchants alike. Implementing a decentralized system of transactions would offer a new level of counterfeit and fraud protection that the current systems simply can’t guarantee. Truth be told, decentralized systems are not the only revolutionary thing currently knocking on the ecommerce door. They may be the most exciting one, sure, but not the only one. 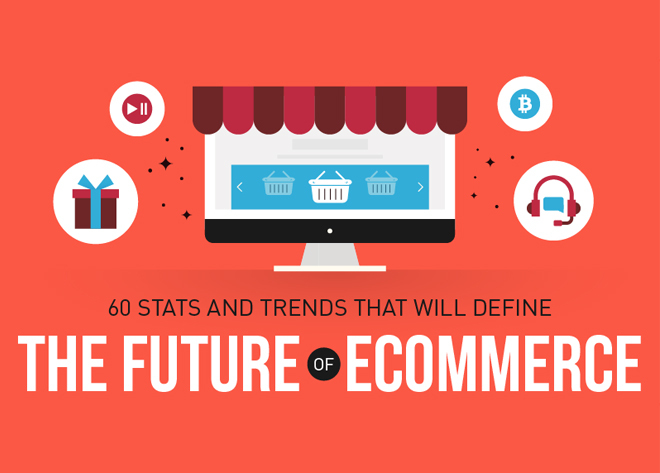 In order to fully understand what future has in store for ecommerce, you need to take a lot more trends into consideration, and the following infographic will help you do just that. It analyzes 60 ecommerce stats and trends directly responsible for shaping the e-market in 2018. Furthermore, the majority of them are expected to echo deep into 2019 as well. 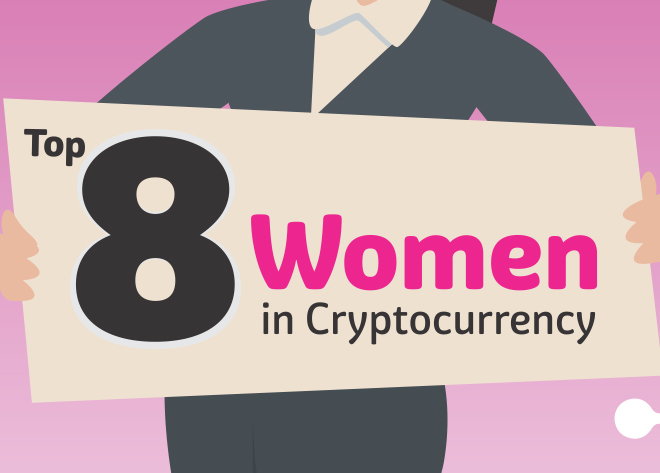 By the time you’re through with the infographic, you’ll be able to understand all the major trends currently driving the industry forward, as well as become aware of just how good of a fit ecommerce really is with what cryptocurrencies can offer.